WHILE many high school students would rather be swimming or kicking back on the couch over the summer holidays, a team of dedicated young science buffs have already regrouped to prepare for a serious international challenge. 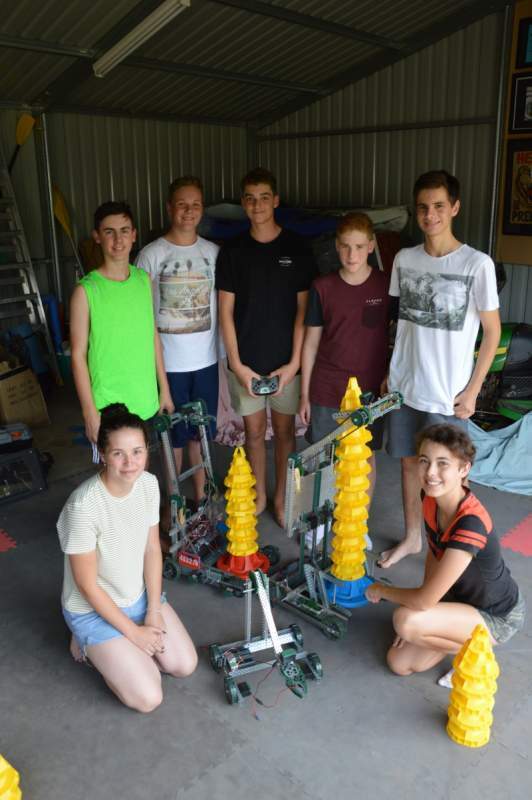 The enthusiastic students from Galen Catholic College have returned from their Christmas break to work on a new robot which they plan to enter in the World VEX Robotic Championships when they head to the USA for the event this year. They’ll be one of 1400 teams from around the world competing in the championships which Guinness World Records officially declared to be the largest robot competition in the world. Three of the college’s teams won awards in the Australian National VEX Championships held in December, with the middle school team led by Lachlan Carboon winning the Excellence award and a spot in the world championships taking place in Louisville, Kentucky from April 25 to 28. It seems these regional kids are certainly punching above their weight, having only attended one competition last year where they beat the fourth-time reigning champions. They’ve been putting their collective heads together, bringing a variety of skills to the table and researching the latest designs in the hope of creating an even better model this time around. Galen’s VEX Team are off to the USA!